Does your business blog?Have you been thinking it might be time to consider a blog, but aren’t sure you can pull it off and it will provide value? Blogging is one of the most valuable tools that businesses have to engage with customers and ultimately make their lives easier. If you’re not blogging, it’s time to get started or get left behind.There is some debate out there as to whether blogging is still relevant in today’s social media marketing environment.Regardless if you are a small business, or a multinational company, blogging is integral to your online content marketing strategy.Blogs are better than good for business, they are great. Currently, blogs are something that everyone knows about and everyone is talking about. Therefore, businesses have turned to them as a marketing tool. So let's go through the below infographic to know why a blog is good for business. So let's take a look of some below mentioned points on why having a blog is good for your business. Type in any number of keywords into a search engine and a large number of blogs will be listed. Chances are if a consumer is typing in the very keywords that are associated with your blog, they are the ones your business is targeting through other marketing strategies. Blogs are an affordable way to attract new users to your business website. Blogs are a great way to let consumers know what your business is all about and the types of products and services you offer. They also provide a way to let consumers know that you are a leader or expert in your field. A business can reach thousands and even millions of people through a blog. The best business blogs answer common questions their leads and customers have. If you're consistently creating content that's helpful for your target customer, it'll help establish you as an authority in their eyes. This is a particularly handy tool for Sales and Service professionals. It’s not always easy or website friendly to fit everything you need to say on a single website without overloading visitors. Sometimes there are extra’s that need to be said or further, more in-depth information needs to be given. Blogs are a great way to speak to clients and customers and give them information beyond what is posted on your business website. Promote upcoming sales and events directly on your blog. Blogs have proven to be a great marketing tool when it comes to informing everyone of special news, what’s new in your company and new services your business is offering. Blogs can be an excellent resource for customers when it comes to added support. List solutions to common problems and provide a way for consumers to get reliable help fast. Consistently posting reliable and pertinent information on your business blog can lead to a large group of followers. Followers will continue to turn to your business to fulfill their needs. Followers also lead you to other followers and can provide new leads and opportunities for your business. Now let's go through the below infographic to get better view of why every business should have blog. In this above infographic we've shown you reasons why your business should have a blog. But we’ve also intentionally left out many others because we’d love to hear your thoughts on the matter as well. What do you think? Have you seen these benefits within your business? Which one has made the most impact? Also, what would you add to the list?Jump in, everyone! We love nothing more than discussing the power of great content, so please leave your thoughts and questions in the comments box below. You have done an excellent job on this post. As a blogger and marketer I deem blogging as an important part of business. When done correctly, it can boost business. I love the way your infographic points out the various aspects of blogging. Fantastic post and I will share. elements and aspects and shows a business needs Blog. I always think it's short-sighted when people tell me they don't need a blog because they have a Facebook business page, or some other "property" that they don't own. Facebook pages can be closed down, with loss of followers, at any time. But your blog will stay your blog, under your control for as long as your wish. 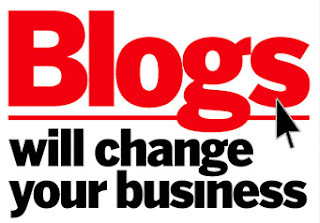 You have given some excellent reasons why every business should have their own blog. Hello Debarpan, You did an Awesome job with this post my friend! And that infographic, Wowsy packed full of great information! Blogging does matter, this is like your online home, a place for you to showcase what you are up to. Thank you for your visit to my page too, You have a wonderful page here with lot of informative pieces for any bloggers to read and learn. I appreciate your dedication to create such posts. Hey the infographics speaks volume, hey why didn't you keep the html code below to share by others on their pages, generally the infographic developers do this to promote their works, so that other can share it on their pages with due credit to you. Very well detailed! You have simplified the world of blogging in basic terms. I love it. For me, blogging showcase my hidden talents to the world and I enjoy it to the fullest. Keep it up man!! My first visit to comment on your blog. You wrote a very informative article on why having a blog is good for a business. A blog is the hub of any online business. All other info can be linked to it or from it. I will share on one of my facebook pages. The infographic was just icing on the cake. Really great article. Congrats on your blog! This is a very comprehensive post. Blogging has truly evolved through the years and it's great how a lot of businesses started to maximize this platform for exposure and to get leads. It does take a lot of work, serious crafting, and dedication. Blogging might be good for business, but definitely, it is not a must for all businesses as it takes a lot of time and effort to keep one. engaging bloggers might be a much better solution! Awesome post. I highly agree with what you've said. Blogging has changed my business in so many ways. I've met some amazing people as well in my blogging journey. I think it's not only good for business but it's a necessity if you want to stand out and get organic traffic. Great post! Keep it up! Blogging is good for your business because it doesn't just give you free publicity, it also helps you reach out to your customers in a more personal manner. Those are all good points. Businesses should consider blogging. Excellent article! No wonder so many organizations have their blogs as a part of their websites. I think more people are relying on blogs to get feedback on products. Blogs can really help you reach more market not and also gives you a channel to showcase your products. I did not think that all businesses can benefit from maintaining a blog. What sort of fresh content can you write if you only have one product or service? I think a lot of businesses now ask the help of bloggers to promote their business. Despite of social media is getting very popular but blog still has its role to play in the online world. Its a platform for people to get information, learn and also share their opinions. The blogging world is definitely becoming a thing now for business. It's a great way to run yours if you know what you're doing and if you dedicate your time to it. Thanks a lot for the information shared. Even though I don't blog for a business, it is more of a hobby for me, there is so much for me to take away from this. Great post, Debarpan! Thanks for the valuable information. The infographic was awesome! Thanks for a very thorough explanation of why blogging is so valuable. I have several blogs and I have posted many blogs on each. That has certainly helped me to create my authority and be seen as an expert because people can easily read about me, my philosophy and approaches, my bio, my offerings, etc. However, I am finding that it takes time to write blog posts and my goal now is to create more products and webinars and books. So now I am more focused on putting the thoughts together, rather than separately as they become in a single blog post. 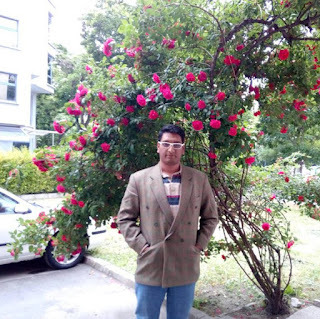 You have done a very thorough job here Debarpan on showing the benefits of blogging for a business. Every blog is a reflection of the person/business behind it and that also shows through alongside the technical bits. You're right blogging is great for getting your message out. It's amazing what blogging can do for a business! I never thought of it before just a few short years before. My business coach mentioned it to me and I was astounded to what a blog can do. My blog is one of my biggest tools for my business. Thanks for sharing such a concise post! Hopefully other businesses will see how impactful a blog can be.